Some time ago, someone asked to decipher this dress from Free People. 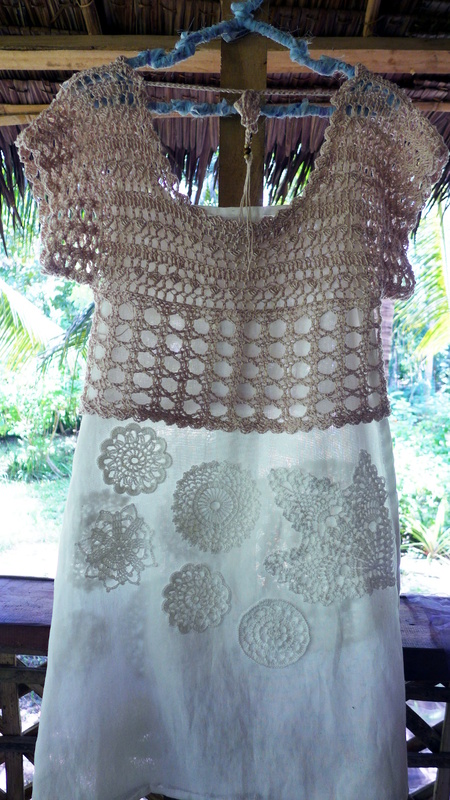 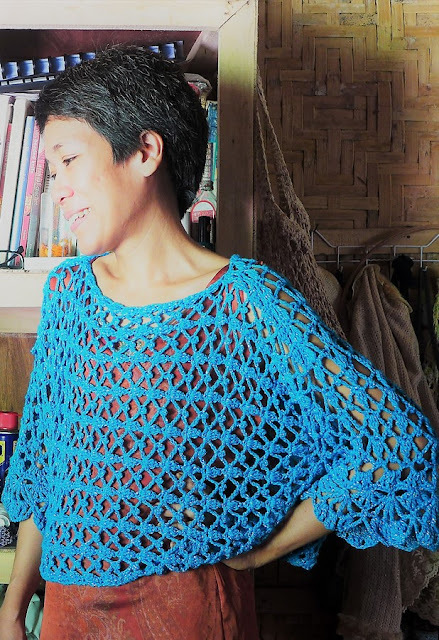 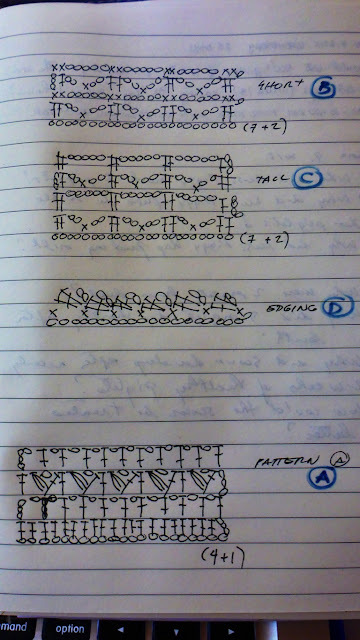 I made drawings of the pattern stitches but never really managed to crochet the dress. 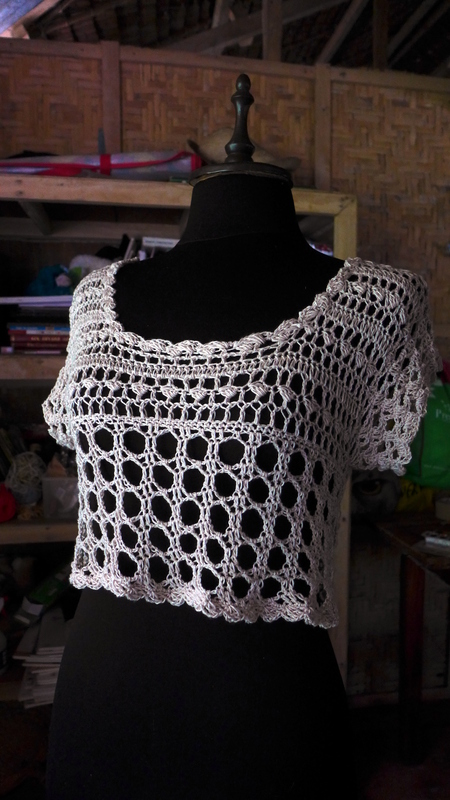 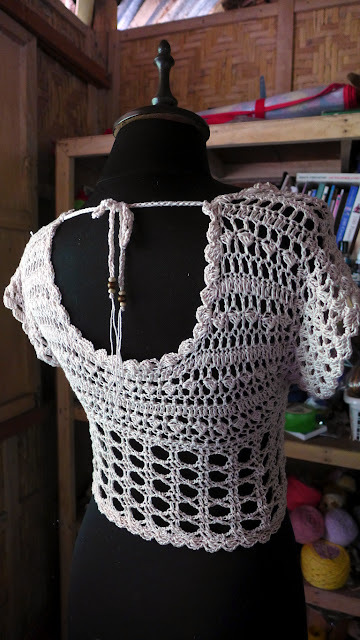 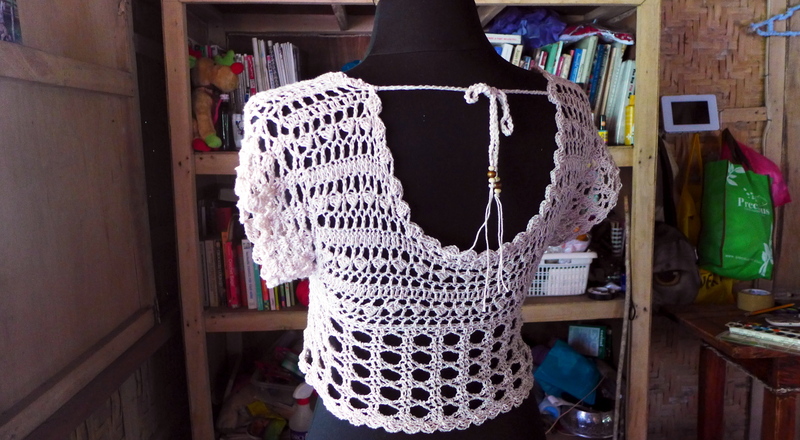 Today, I actually made the garment - a blouse instead of a dress simply because I didn't have enough yarn. I used 4-ply cotton yarn and 3.5mm crochet hook. 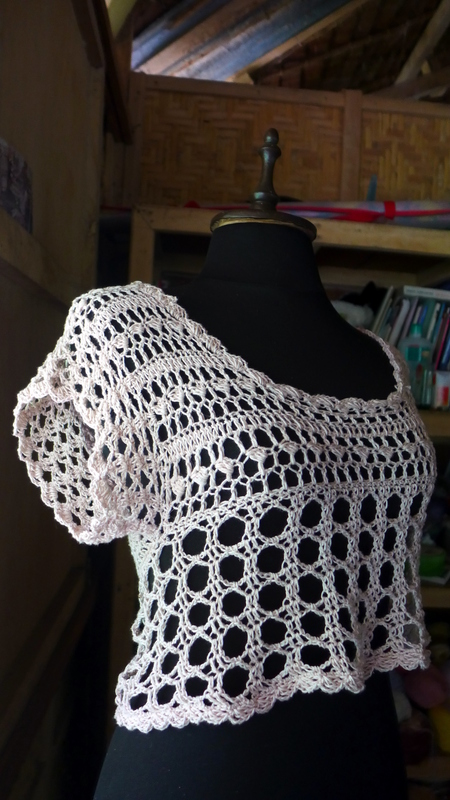 The trickiest part is shaping the neckline. 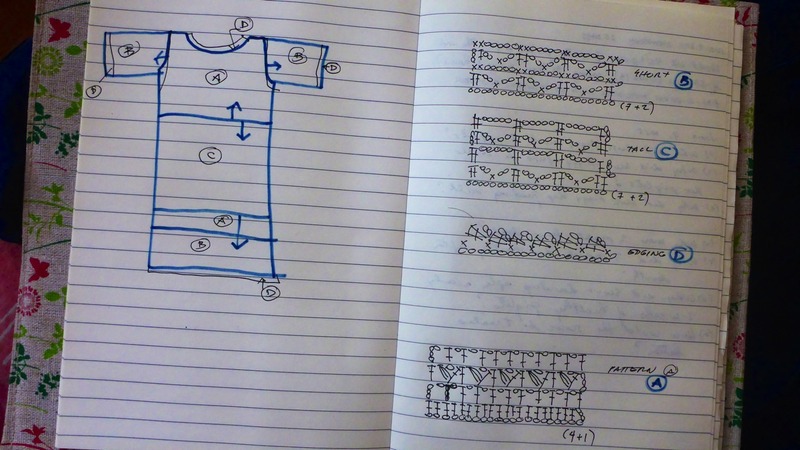 Can you figure it all out and complete the dress? I provide the crochet charts below.